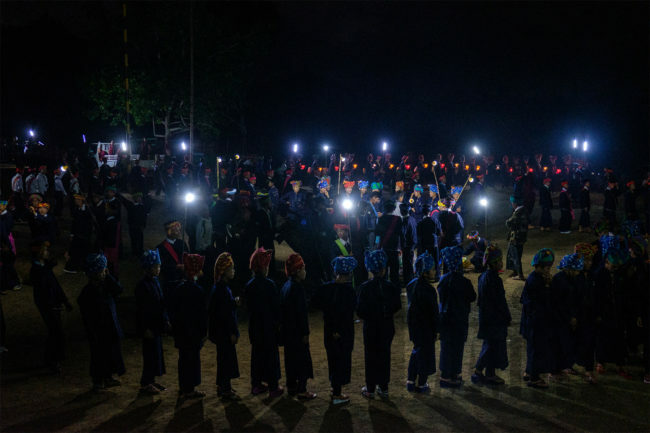 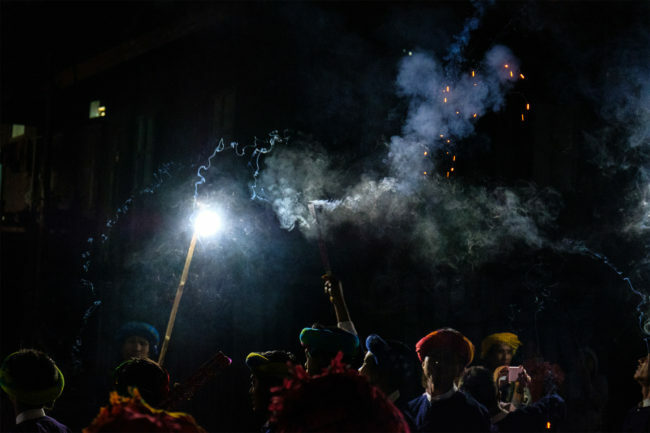 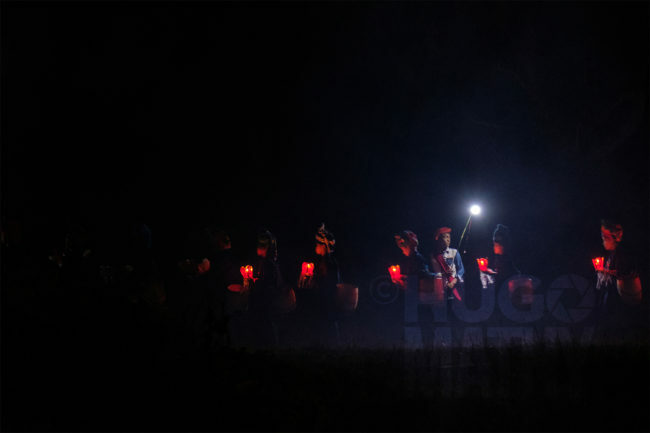 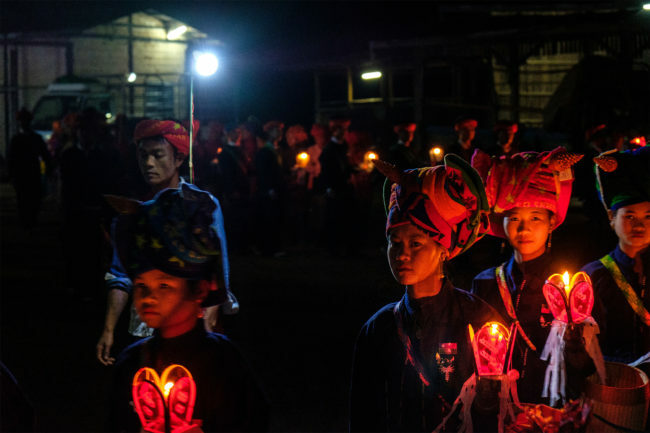 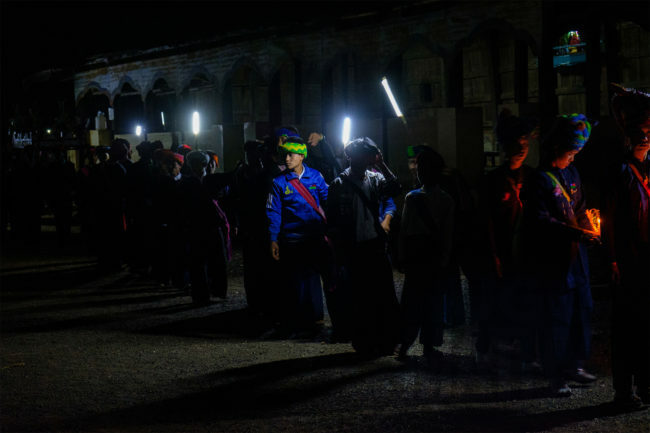 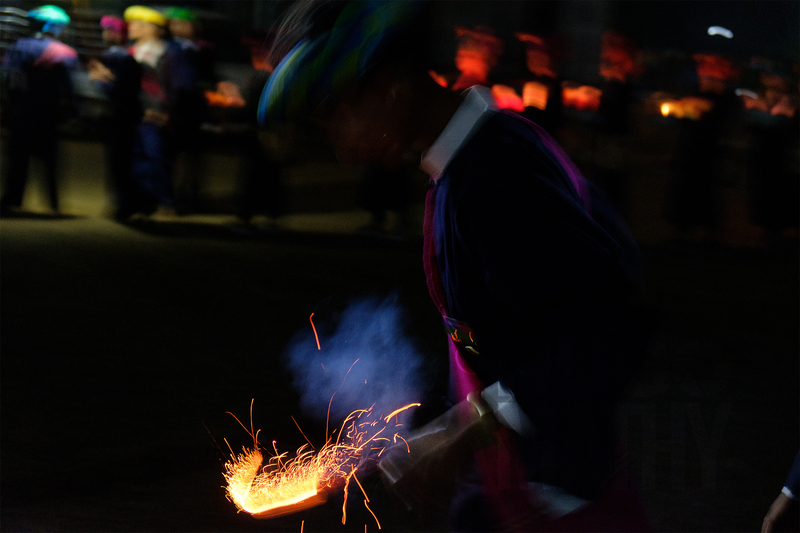 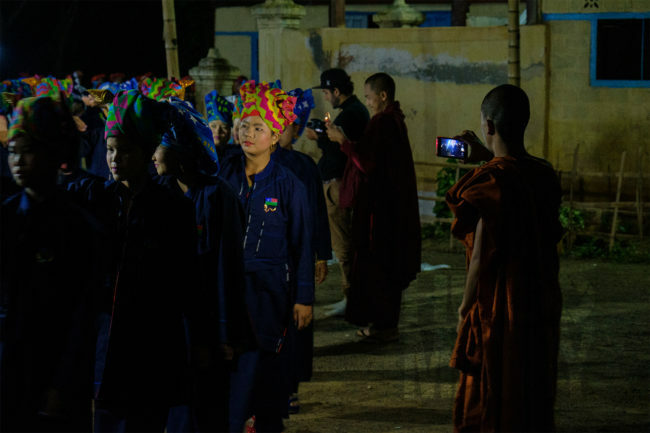 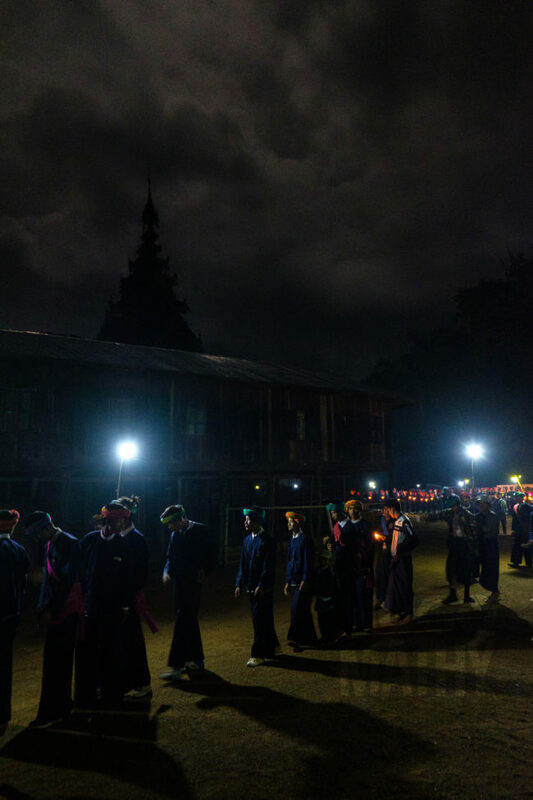 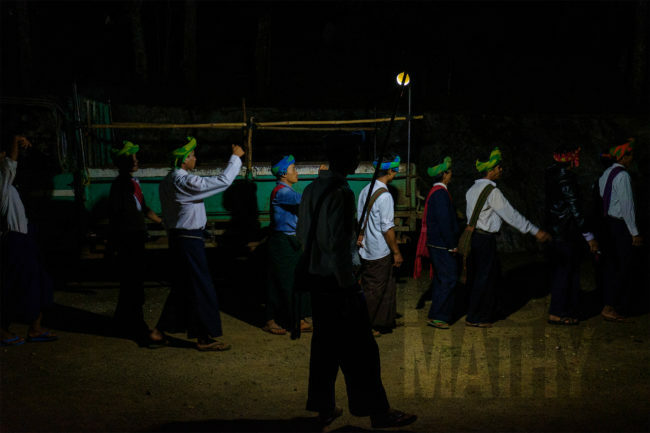 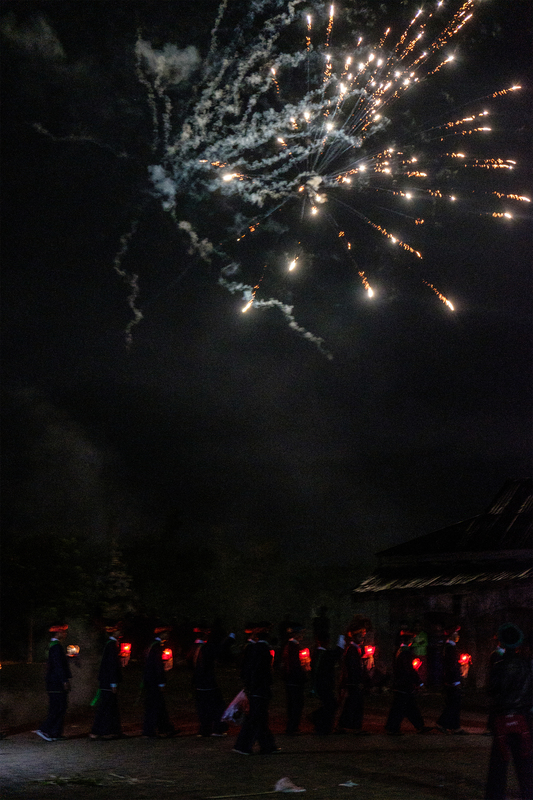 Pa-O villagers gather at Hte Thein Monastery, in Shan State, to celebrate Thadingyut by lighting candles and fireworks, dancing and giving offerings. 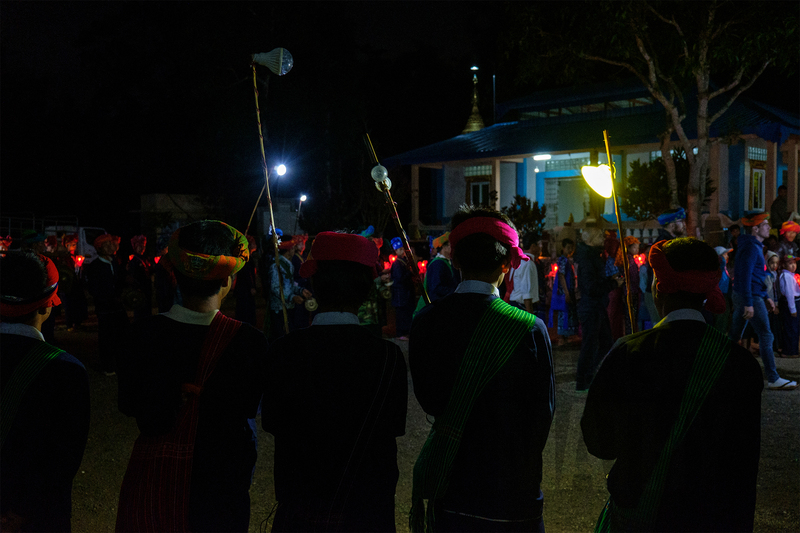 The Pa-O people are the second largest ethnic group in Shan State. 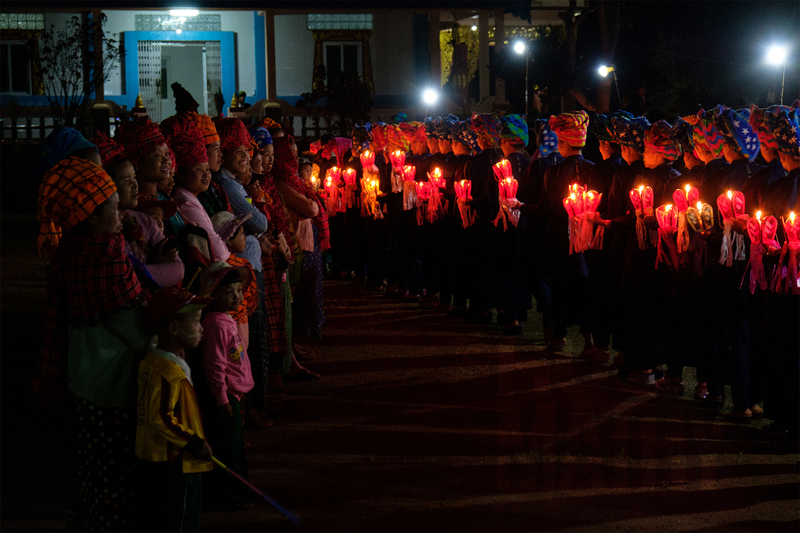 Thadingyut Festival, or Festival of Lights, is held on the full-moon day of the Burmese lunar month of Thadingyut. It marks the end of the Buddhist lent and is the second most important festival after Thingyan, or Water Festival.